6th World Congress on Advanced Clinical Trials and Clinical Research : Vydya Health - Find Providers, Products. 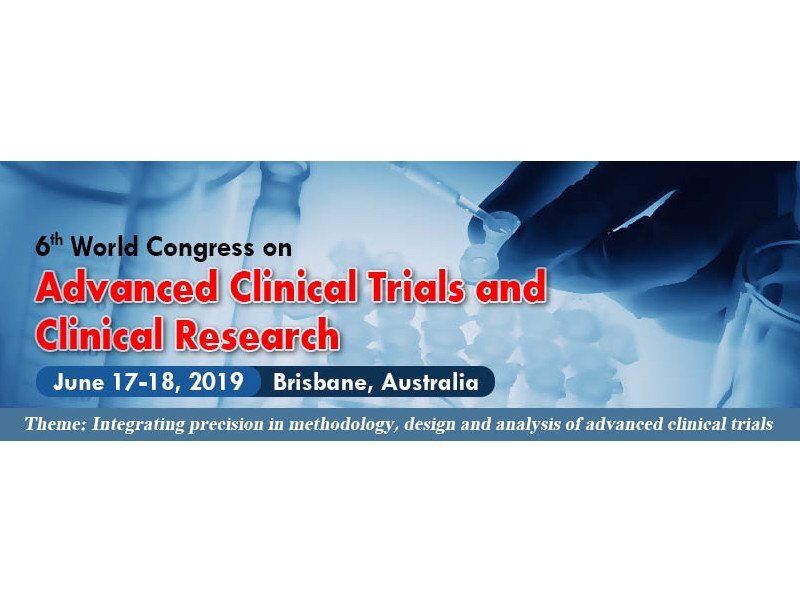 World Congress on Advanced Clinical Trials and Clinical Research (Clinical Trials Congress 2019) scheduled to be held during June 17-18, 2019 at Brisbane, Australia. This Clinical Trials Congress hosts a wide range of Keynote presentations, Oral talks, Poster presentations, Symposia, Workshops, Exhibitions, and Career development programs. It strives to bring all the Researchers, Students and Business people under one roof to share their ideas and conduct collaborated research. Clinical Trials Congress 2019 Conference is a multidisciplinary program with broad participation with members from around the globe focused on learning about clinical research and its advances. The program focuses on key issues and opportunities in the clinical trial industry, including patient recruitment, site selection, data integration, existing data sources, mobile tech, project management, outsourcing, vendor management, budgeting and contracting, quality (QbD) in trial conduct, risk-based monitoring, Bioinformatics in clinical research and trials, Nanotechnology in clinical trials, Entrepreneurs investment meet, Postmarketing surveillance and clinical auditing. This is your best opportunity to reach the largest assemblage of participants from Clinical Trials community which includes academia, clinical research entities, medical groups, related associations, societies, government agencies, pharmaceutical, biomedical device industries, and many business groups.